Zimbabwe’s sidelined President Robert Mugabe, who has been under house arrest since a military takeover earlier this week, is refusing to step down, creating a potential crisis over his succession. The military staged what it insists was not a coup, but rather a “bloodless correction,” on Wednesday, saying its aim was not to target Mugabe himself, but the “criminals around him who are committing crimes.” Several senior officials have been detained in the wake of the army’s move, according to the BBC. Even so, negotiations are underway to get Mugabe, who has ruled the former British colony since it gained independence 37 years ago, to voluntarily resign. At 93, he is insisting that he be allowed to serve out his term until elections next year. But in an indication of how much things have changed in recent days, NPR’s Ofeibea Quist-Arcton reports that the ruling ZANU-PF party, long viewed as Mugabe’s personal fiefdom, is meeting Friday to work on a draft resolution that could lead to his impeachment next week. “There’s almost no security on the streets. Everything is quiet,” he says. Since his government was toppled, Mugabe has been holed up with his wife, Grace, in his “Blue Roof” compound in the capital, Harare. 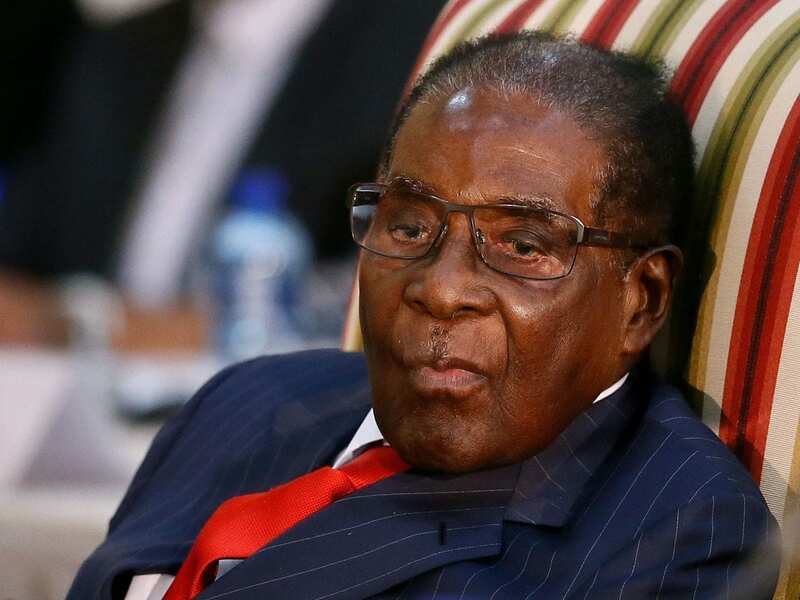 Despite his house arrest, Mugabe’s motorcade on Thursday was seen leaving his home and proceeding to State House, where he was photographed meeting with military chief Constantino Chiwenga — the man who staged Wednesday’s takeover — as well as South African ministers sent to help mediate the crisis. Later, Mugabe arrived at a university graduation ceremony in Harare to deliver a speech, his first public appearance since the takeover. The army’s takeover came a week after Mugabe sacked Vice President Emmerson Mnangagwa to make room for his wife to assume leadership of the ruling party and the country’s presidency. After his removal, Mnangagwa, 75, who had been locked in an intraparty factional feud with Mugabe, fled to South Africa, where he vowed to challenge the president’s authority.